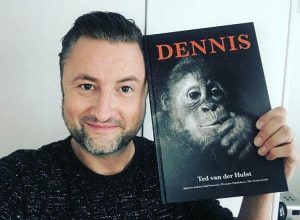 The Hague, October 26, 2016 – The Dutch TV presenter Dennis Weening presented the new photo book ‘Dennis’ by portrait photographer Ted van der Hulst and Jakarta Animal Aid Network (JAAN) at Bar-Restaurant Pavlov (Spui 173) in The Hague. 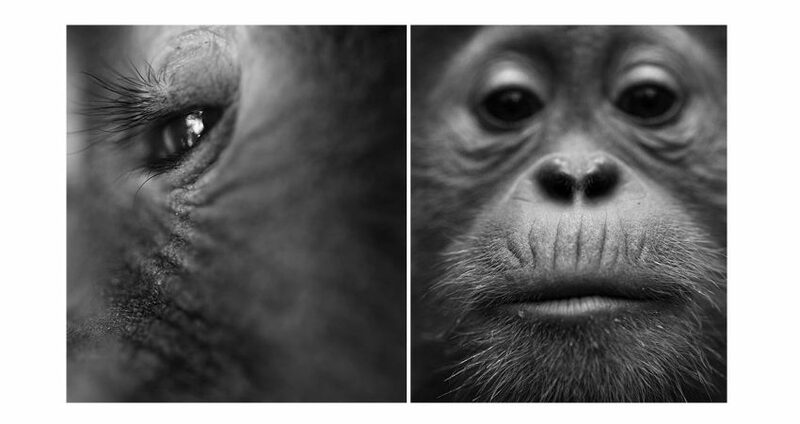 ‘Dennis’ is about the orphan orangutan Dennis who was named after Weening and tells the story of the young, rescued ape. Weening visited his namesake in Indonesia at the shelter and told about his experiences there during the presentation. Dennis is a victim of the palm oil industry and was rescued from a pet dealer with a seizure, along with a whole bunch of other animals of different kinds. Dennis’ mother was killed in a palm oil plantation, so that the young orangutan could be taken away by traders in exotic animal species. The palm oil industry sees Orangutans as pests. In the meantime, the plantations rapidly take over the original habitat of the animals. The indonesian rainforest is in its final hour, as every hour the size of about 150 (!) football fields are being cut. The rain forests are called the lungs of our earth. When the rainforests are gone, this is also a threat to humanity. The rainforests convert the CO2 in the air into oxygen. When this CO2 is no longer absorbed, this reinforces the greenhouse effect / climate change. It would be fantastic if palm oil could be banned from our products in order to prevent deforestation. We have now taken the first step with the introduction of a Palm Oil Free quality mark, but we need support from politics and industry to actually protect the lungs of our earth!